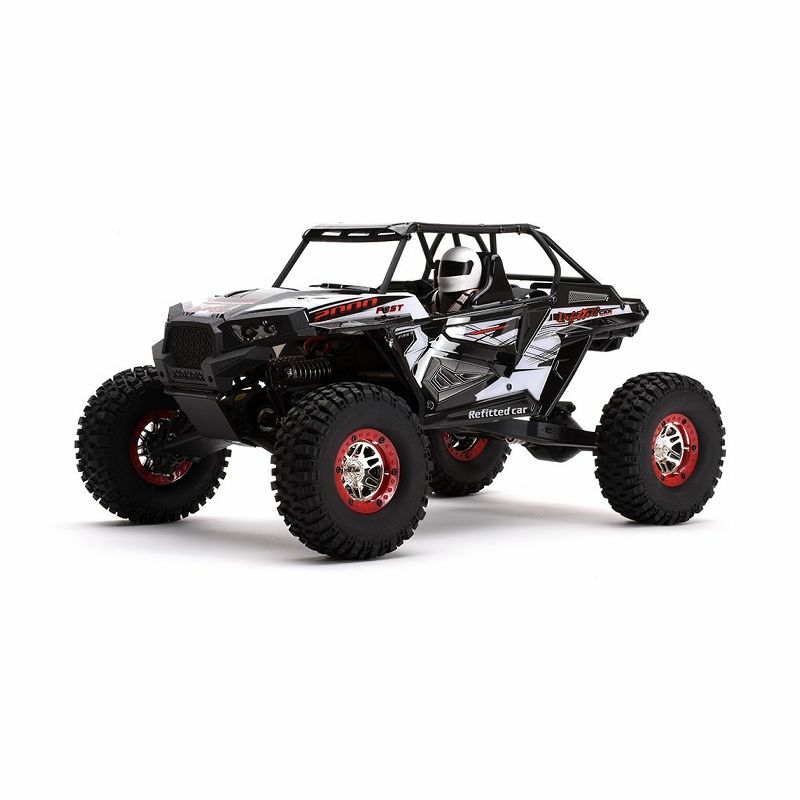 The Ripmax FAST 2000 is a 1:10 scale off-road/rock crawler R/C car designed as a hybrid between a buggy and a rock crawler allowing it to tackle extreme terrain at speed while absorbing bumps as it goes. If you open the throttle you unleash an impressive 40km/h top speed! You can slowly navigate difficult gradients/terrain testing your skills and precision off-road or just have flat out fun on the tarmac, take your pick! This fast cross country style means the car is no slouch across flat surfaces. The 540 class motor really packs a punch and allows wheelies on command! The electronics are supplied pre-installed so the car is ready to run straight from the box including a servo saver to help protect the steering servo from extreme use. 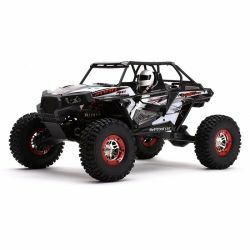 The chassis and suspension components are moulded from durable plastic to help keep the weight down and help with impact resistance and this is finished off with a strong moulded plastic roll cage and race styled bodywork. The included 'pistol' style transmitter is easy to hold and intuitive to use. The 2.4GHz radio signal ensures reliable control and there are even rate dials to trim the steering and a dual rate to help limit the power when learning or handling tough terrain. Supplied in RTR format, all the hard work of assembly is already done for you. To get going all you need to do is to charge the included lithium battery and add 4x 'AA' batteries to the transmitter.